After starring in AMC’s The Walking Dead, Danai Gurira’s career is rightfully taking swing. She will now appear in a major motion picture playing Afeni Shakur in the Tupac Shakur biopic All Eyez On Me. 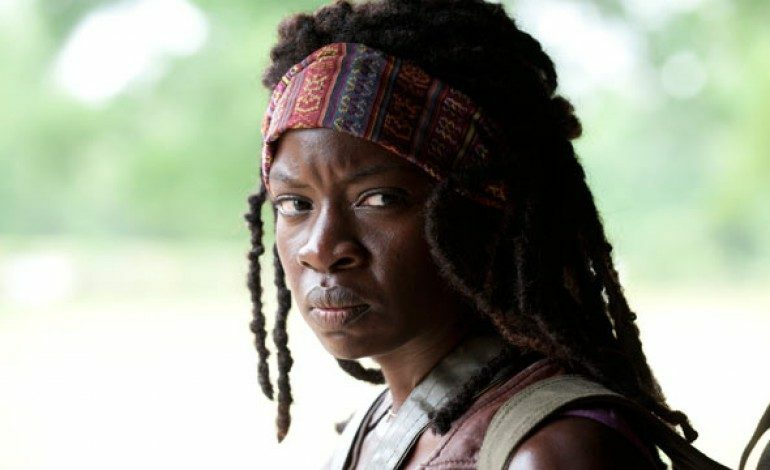 Apart from the massive Walking Dead audience, Gurira has also appeared in the indies Mother of George (2013) and The Visitor (2008). Benny Boom is directing the Ed Gonzalez and Jeremy Haft (Tamara) script. Starring as Tupac is newcomer Demetrius Shipp Jr. The film will focus on Tupac’s rise to stardom and his subsequent success as a rapper. It will also cover his imprisonment and beef with East Coast hip-hop artists–most notably The Notorious B.I.G., played by Jamal Woolard who also played “Biggie” in 2009’s Notorious. Kat Graham (The Vampire Diaries) has also hopped on board of the project, playing Jada Pinkett Smith, a longtime friend of Tupac. Afeni Shakur, who is an executive producer on the film, is a political activist and notable member of the Black Panthers. All Eyez On Me is currently in production and has no set release date yet.